What would you do if you found out a lot of our news and a lot of the real and fake news you supposedly get, comes from the future? Or a lot of your political earthquakes are just tremors, because people from the future are involved, talking madmen and women down? You wouldn't believe it, right? You see, its like this. 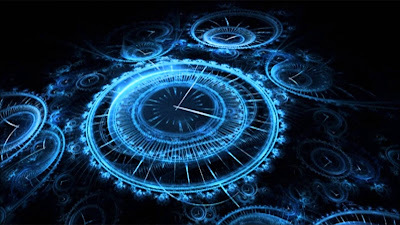 Time travel for people is impossible – shifting people through time is never going to happen, unless people learn how to move at light speed and beyond. 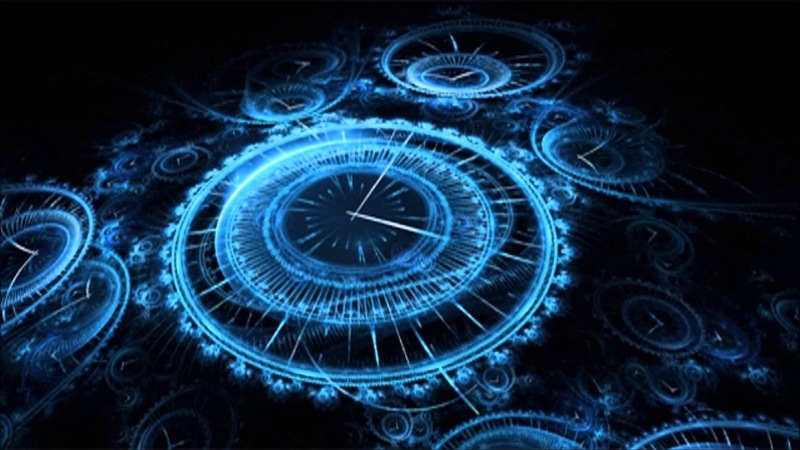 But, time travel by sub-atomic particles happens all of the time. It has happened throughout the history of the universe. Particles disappearing from a reality, only to turn up in another or another time. And it was this discovery that eventually led us to influencing your world from the future. Every transaction your world makes being on your internet makes it easy. We painstakingly set up bank accounts in your time, hacking banks -and then set up websites, news sites, culture sites and even virtual shops, ordering goods and selling them – employing people in your time through virtual companies and eventually corporations. Well. We wanted to influence the timeline. And have fun to be honest. I live 350 years in your future. Imagine you speaking to someone from Shakespeare’s time. What would you say? How would you say it? Language is very different, but translatable. Nostradamus, a man who could move his brain particles through time, warned you about many of the things that happened… but you didn't understand, because he could not translate his 1560’s french into twentieth and twenty-first century French. I have no such problem. The world is very different, but as we are changing the timeline – we are cleaning up our world and trying to ensure the Great Disaster is minimised. Bit by bit, nature returns. Extinctions are halted. The only one we are not allowed to meddle with – and this is a Galaxy wide agreement – is the mass extinctions brought about in your century of… people. The great thing about our time is, well, we don't actually have to be physically in your world to be there. We use drones to interact. These drones can be human form, some of them can be as small as flies; some of the best ones are birds, dogs, cat, cows all sorts. And people here visit through these drones to see what the world used to be like. With implants and uploads, we can feel as if we are there in person, talking to you. And we do often. And we all manipulate as much as we can without killing ourselves to try to minimise the effects of the Great Disaster. We also look to our future. Moving into the future was much more difficult, especially as we found earth hadn't got much of a future. But we have changed that slightly. We’ve slowed down the death of terran humanity. Why are we not on other planets? We are. We are across the Galaxy. But some of us are still on Earth. Some call us fetishists, trying to hold on to an object; a dream of a golden past that never existed. Why move when you can be everywhere from where you are? And they tell us we are probably placing the whole of the Galaxy at risk. What would happen if the Great Disaster did not happen? Well, they say, people may not leave the solar system in search of a new life. Humanity would not seed the stars. So we wont avert. Just minimise. Other humans, tall, small and manipulated by the planet surfaces and nature they have embraced across the galaxy, tell us we are odd. Odd to want to stay on a dying planet, not fit for purpose. But oh, they’ve never felt the amazing feeling of driving a petrol car around cliff hugging roads, or bungee jumping into a fjord or standing in the middle of an explosion in an Iraqi town. Or walking with a pride of lions, or a New York City Gang. Thrill seekers, yes, but most of the time we are trying to find a solution to the death of the planet. When you have spent a week or two submerged in the political life of the United States circa 2017-21, and then move outside and find a new patch of green that could not have existed before, or you receive a bite from a hitherto extinct bug, it is worthwhile. When we reanimate some mammals or crustaceans or more flying bugs, we will celebrate. Probably in a bar in twentieth century Dublin, or atop a Cuban Hotel, arranging a Marlin hunt with with Ernest Hemingway in 1960 (yes, we can go back that far… it was difficult, given the primitive nature of military computers, but we managed it. We are working on ways to get back to World War Two – the birth of some of the great early computers. But that is proving difficult). Now, if you are reading this piece of writing, you wont believe it. You will, of course, think it is a piece of badly written Sci-Fi. It may be badly written, but it is not Sci-Fi. Should I say something about the future in order to prove what is happening? How we are visiting you? How we control a huge corporation from the future? How we influence the tech you will be buying in the coming years? I wont. Sorry. But I want to say one thing to you. You, if you are reading this, may be the one person that changes the world from the disastrous road it is taking in your time. In fact I know one of you can. How? Well, that child you live with – be kind to her. Encourage her and praise her for her mistakes. Help her learn. Help her become the kindest leader the world has ever known. And maybe, the Great Disaster will be minimised and the fauna and flora of Old Earth will again flourish, 350 years into the future. Though it is too late for most of you.